Many consider a nuclear attack an outlandish scenario to which only conspiracy theorists subscribe. Unfortunately, the threat of a nuclear incident, accidental or purposeful, exists, perhaps more than in recent years, due to recent developments in the Korean peninsula. 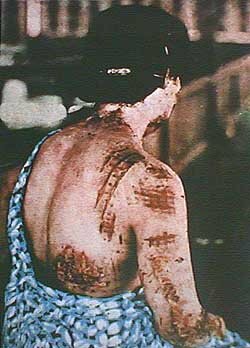 Atomic weapons can decimate a population from thermal blasts, but it also causes illness and death due to exposure from radiation. Although populated areas have experienced detonations only twice, (Hiroshima and Nagasaki in 1945), nuclear reactor meltdowns and other events have occurred from time to time since then, such as in Fukushima in 2011 and Chernobyl in 1986. In an atomic explosion, radiation is just one of the possible causes of casualties; heat effects and kinetic energy damage near the blast will cause many deaths and injuries. Radiation released into the atmosphere, however, can have devastating effects far from “ground zero”. A nuclear event produces “fallout”. Fallout is the particulate matter that is thrown into the air by the explosion. It can travel hundreds (if not thousands) of miles on the prevailing winds, coating fields, livestock, and people with radioactive material. The higher the fallout goes into the atmosphere, the farther it will travel downwind. This material contains elements that are hazardous if inhaled or ingested, like Radioiodine, Cesium, and Strontium. Even worse, fallout is absorbed by the animals and plants that make up our food supply. In large enough amounts, it can rapidly become life-threatening. Even in small amounts, it is hazardous to your long-term health. A nuclear power plant meltdown is usually less damaging than a nuclear blast, as the radioactive material doesn’t make it as high up in the sky as the mushroom cloud from an atomic bomb. The worst effects will be felt by those near the reactors. Lighter particles, like radioactive iodine, will travel the farthest, and are the main concern for those far from the actual explosion or meltdown. The level of exposure will depend on the distance the radioactive particles travel from the meltdown and how long it took to arrive. 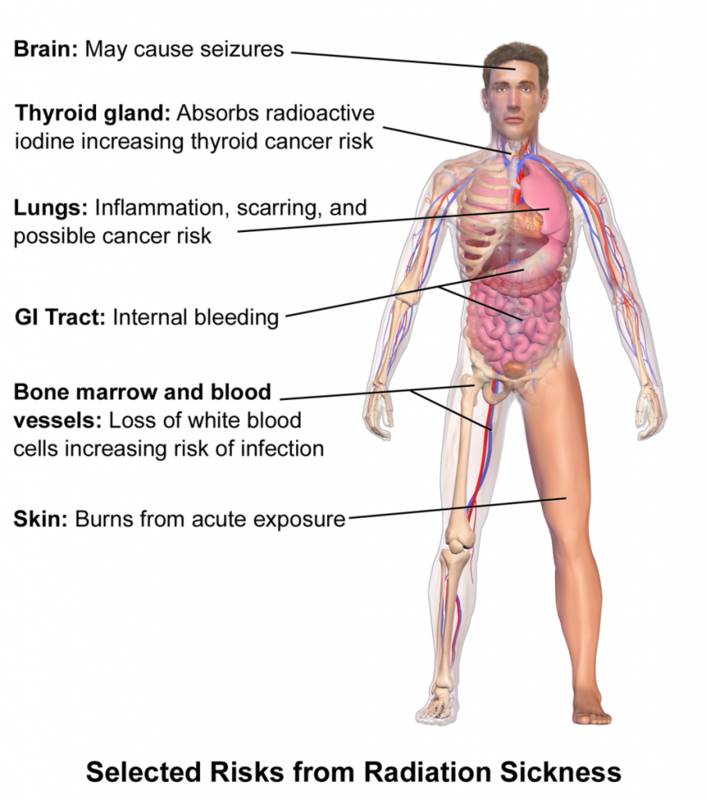 The medical effects of exposure are collectively known as “radiation sickness” or “Acute Radiation Syndrome”. A certain amount of radiation exposure is tolerable over time, but your goal should be to shelter your group as much as possible. 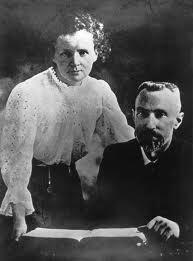 BECQUERELS/CURIES – these terms describe the amount of radiation that, say, a hunk of uranium gives off into the environment. Named after scientists who were the first to work with (and die from) radioactivity. 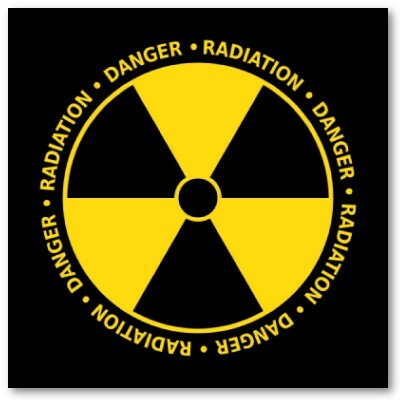 RADS – the amount of the radiation in the environment that is actually absorbed by a living thing. REMS/SIEVERTS – the measurement of the risks of health damage from the radiation absorbed. This is somewhat confusing, so, for our purposes, let’s use RADS. A RAD (Radiation Absorbed Dose) measures the amount of radiation energy transferred to some mass of material, typically humans. 30-70 RADS: Mild headache or nausea within several hours of exposure. Full recovery is expected. 70-150 RADS: Mild nausea and vomiting in a third of patients. Decreased wound healing and increased susceptibility to infection. Full recovery is expected. 150-300 RADS: Moderate nausea and vomiting in a majority of patients. Fatigue and weakness in half of victims. Infection and/or spontaneous bleeding may occur due to a weakened immune system. Medical care will be required for many, especially those with burns or wounds. Occasional deaths at 300 RADS exposure may occur. 300-500 RADS: Moderate nausea and vomiting, fatigue, and weakness in most patients. Diarrheal stools, dehydration, loss of appetite, skin breakdown, and infection will be common. Hair loss is visible in most over time. At the high end of exposure, expect a 50% death rate. Over 500 RADS: Spontaneous bleeding, fever, stomach and intestinal ulcers, bloody diarrhea, dehydration, low blood pressure, infections, and hair loss is anticipated in almost all patients. Death rates approach 100%. The effects related to exposure may occur over time, and symptoms are often not immediate. Hair loss, for example, will become apparent at 10-14 days. Deaths may occur weeks after the exposure. In the early going, your goal is to prevent exposures of over 100 RADS. A radiation dosimeter will be useful to gauge radiation levels and is widely available for purchase. This item will give you an idea of your likelihood of developing radiation sickness. 1) Limit the time unprotected. Radiation absorbed is dependent on the length of exposure. Leave areas where high levels are detected and you are without adequate shelter. The activity of radioactive particles decreases over time. After 24 hours, levels usually drop to 1/10 of their previous value or less. 2) Increase the distance from the radiation. Radiation disperses over distance and effects decrease the farther away you are. 3) Provide a barrier. A shelter will decrease the level of exposure, so it is important to know how to construct one that will serve as a shield between your people and the radiation source. A dense material will give better protection that a light material. The more material that you can use to separate yourself from fallout, the more likely you won’t suffer ill effects. Barrier effectiveness is measured as “halving thickness”. This is the thickness of a particular shield material that will reduce gamma radiation (the most dangerous kind) by one half. When you multiply the halving thickness, you multiply your protection. For example, the halving thickness of concrete is 2.4 inches or 6 centimeters. A barrier of 2.4 inches of concrete will drop radiation exposure by one half. Doubling the thickness of the barrier again (4.8 inches of concrete) drops it to one fourth (1/2 x 1/2) and tripling it (7.2 inches) will drop it to one eighth (1/2 x 1/2 x 1/2), etc. Ten halving thicknesses (24 inches of concrete) will drop the total radiation exposure to 1/1024th that of being out in the open. By looking at the list above, you can see that the same protection is given with 1/6 the thickness of lead plating as that of concrete. Eliminating external contamination with fallout “dust” is important before absorption occurs. This can be accomplished d with simple soap and water. Scrub the area gently with a clean wet sponge. Safely dispose of the sponge and dry the area thoroughly. Internal contamination is a more difficult issue. 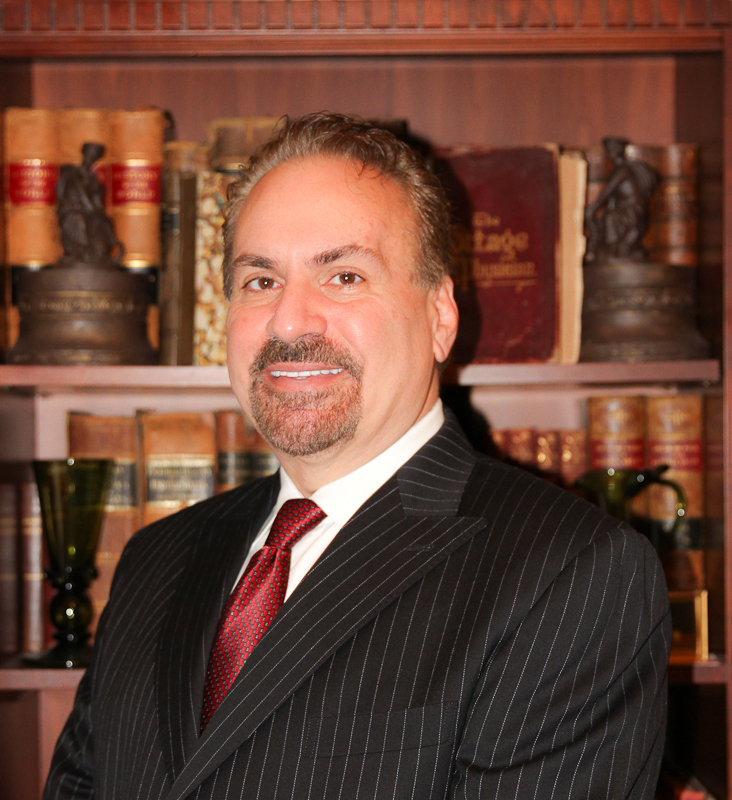 Emergency treatment involves dealing with the symptoms. Once the diagnosis is made, methods that may help include antibiotics to treat infections, fluids for dehydration, diuretics to flush out contaminants, and drugs to treat nausea. In severely ill patients, stem cell transplants and multiple transfusions are indicated but will not be options in an austere setting. This hard reality underscores the importance of having an adequate shelter to prevent excessive exposure. Protection is available against some of the long term effects of radiation. Potassium Iodide (known by the chemical symbol KI), taken orally, can prevent radioactive Iodine from damaging the specific organ that it targets, the thyroid gland. The usual adult dose is 130 mg daily for 7-10 days or for as long as exposure is significant. For children, the dosage is 65 mg daily. 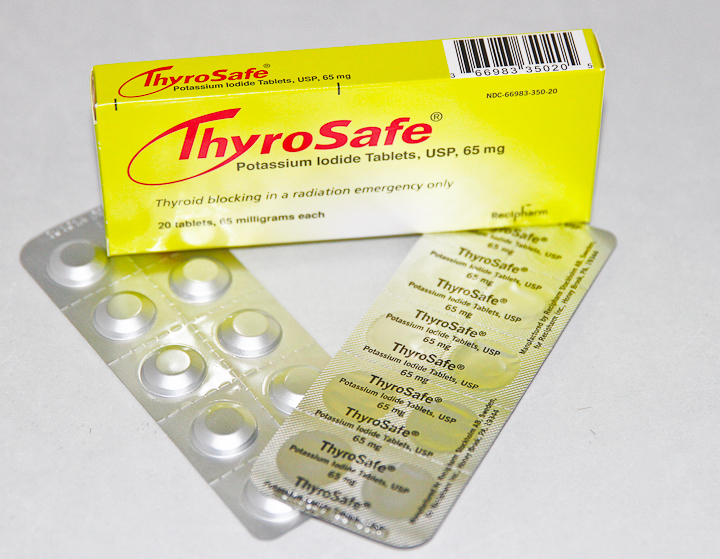 KI is available in a FDA-approved commercial product called Thyrosafe. Taking KI 30 minutes to 24 hours prior to a radiation exposure will prevent the eventual epidemic of thyroid cancer that will result if no treatment is given. Radiation from the 1986 Chernobyl disaster has accounted for more than 4,000 cases of thyroid cancer so far, mostly in children and adolescents. Therefore, if you only have a limited quantity of KI, treat the youngsters first. Although there is a small amount of KI in ordinary iodized salt, not enough is present to confer any protection by ingesting it. It would take 250 teaspoons of household iodized salt to equal one Potassium Iodide tablet. Pets may also be at risk for long-term effects from radioactive iodine. It is recommended to consider 1/2 tablet daily for large dogs, and 1/4 tablet for small dogs and cats. 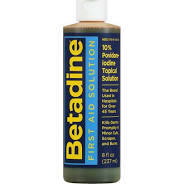 If you find yourself without any KI, consider this alternative: Povidone-Iodine solution (brand name Betadine). 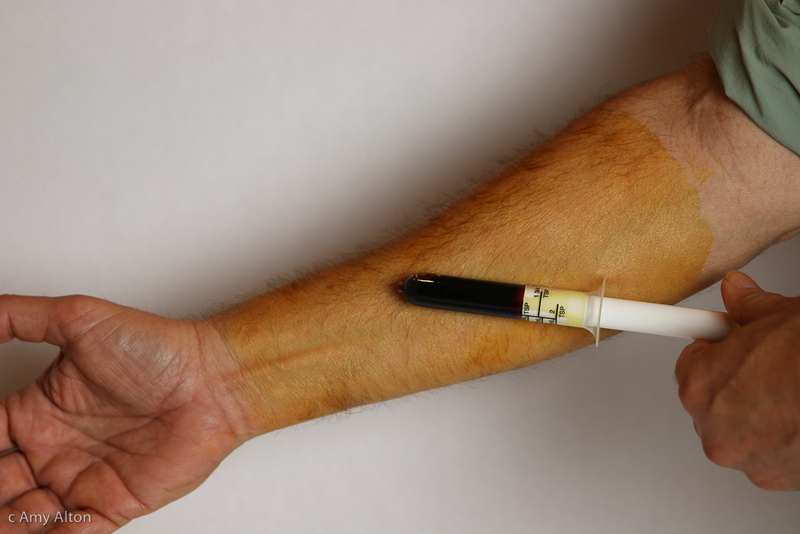 “Paint” 8 ml of Betadine on the abdomen or forearm 2-12 hours prior to exposure and re-apply daily. Enough should be absorbed through the skin to give protection against radioactive Iodine in fallout. For children 3 years old or older (but under 150 lbs or 70 kg), apply 4 ml. Use 2 ml for toddlers and 1 ml for infants. This strategy should also work on animals. If you don’t have a way to measure, remember that a standard teaspoon is about 5 milliliters. Discontinue the daily treatment after 3-7 days or when Radioiodine levels have fallen to safer levels. Be aware that those who are allergic to seafood will probably be allergic to anything containing iodine. Adverse reactions may also occur if you take medications such as diuretics and Lithium. It is also important to note that you cannot drink tincture of iodine or Betadine; it is poisonous if ingested. Although many don’t view a nuclear event as a likely disaster scenario, it’s important to learn about all the possible issues that may impact your family in uncertain times. 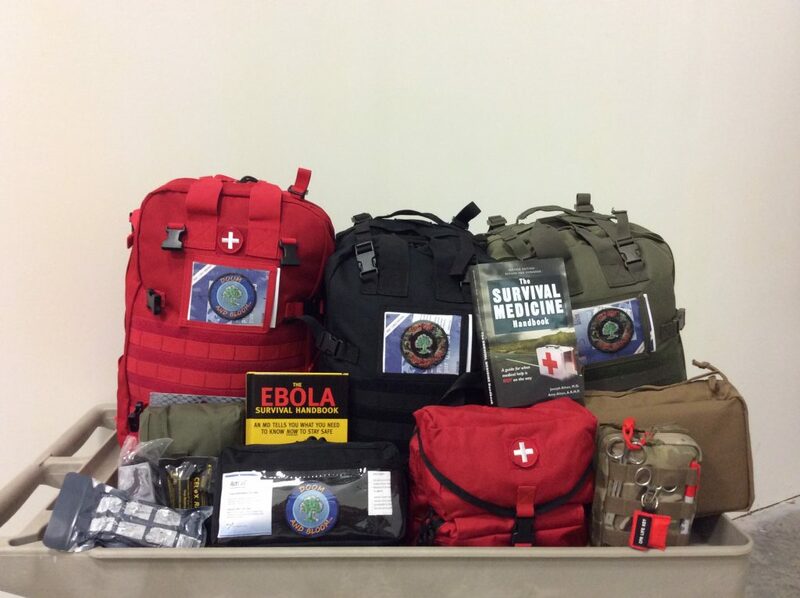 Find out more about survival medicine with the 700 page Third Edition of the Survival Medicine Handbook: The Essential Guide for When Medical Help is Not on the Way. And don’t forget to fill those holes in your medical supplies by checking out Nurse Amy’s entire line of kits and supplies at store.doomandbloom.net.